Hundreds of students, alumni, faculty members, community leaders and residents turned out Friday, Feb. 8, at a wake in the schhol gym for Rev. William Sangiovanni, president emeritus of the school, a long-time teacher, principal and mentor to thousands of students over several decades. Following the wake, a vigil Mass was held, prior to funeral services Saturday, Feb. 9, at St. Thomas Church in Fairfield. 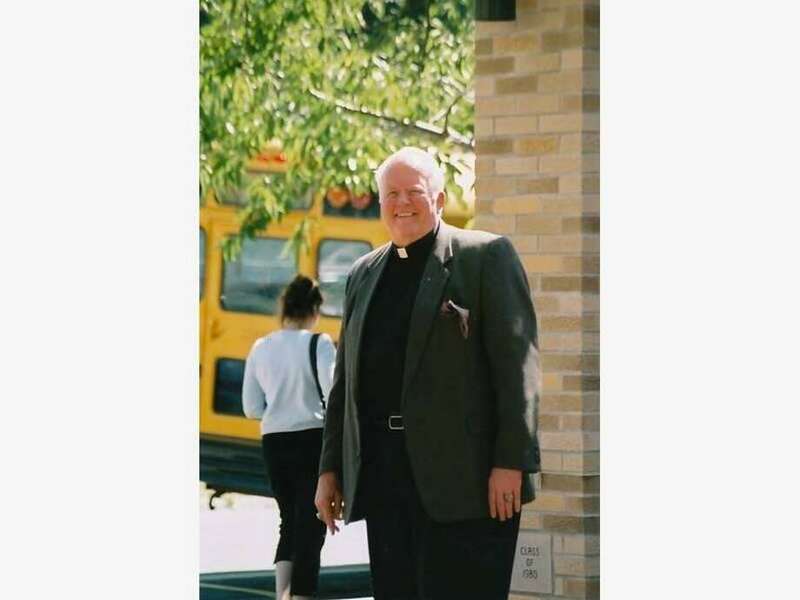 Sangiovanni — known as “Father Bill” to generations of Notre Dame students, — died Monday morning after being in declining health for several years. He was 77.